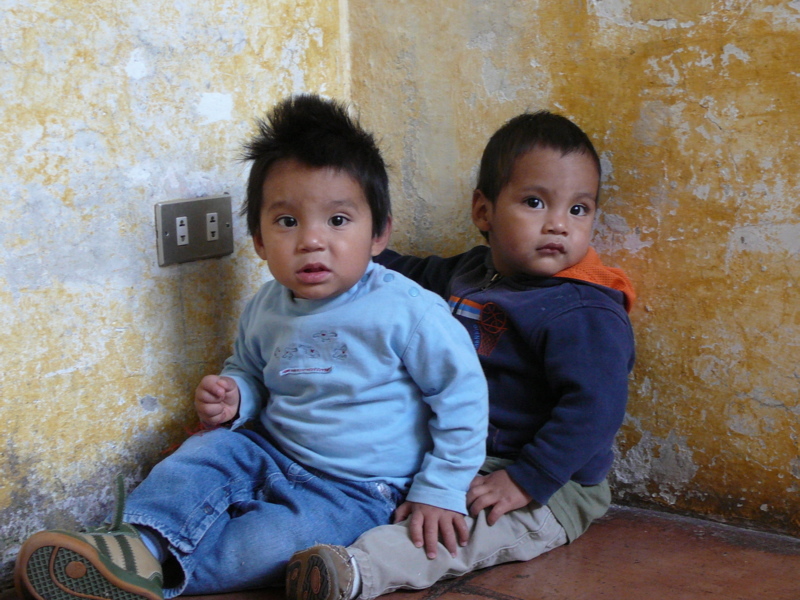 Part six of the continuing adventure of Lucy in Guatemala. Lucy is with Heather from Project Somos – a project that is building a children’s village for orphaned and abandoned children. As I write this in my outdoor “office”, my computer has a pink hue on the keyboard. Dusk is settling in and the birds are making quite the racket. It is such a beautiful time of day here in Guatemala. As usual, little Lucita is doing great. 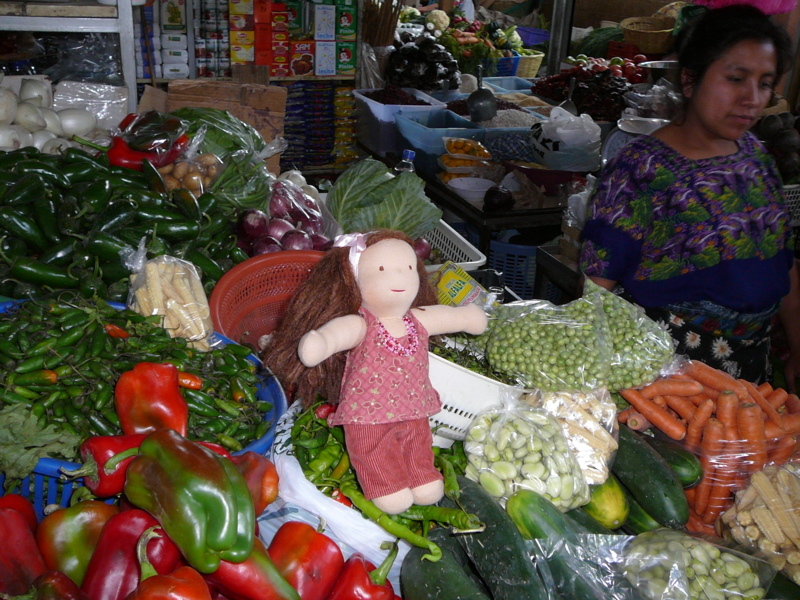 She is learning a few Spanish words here and there and has been helping with the shopping. The other day we went to the huge produce market where there are rows upon rows of the most amazing fresh fruits and vegetables, you can imagine. We only prepare vegetarian meals in our home so it is heavenly for us to have such an assortment to choose from. 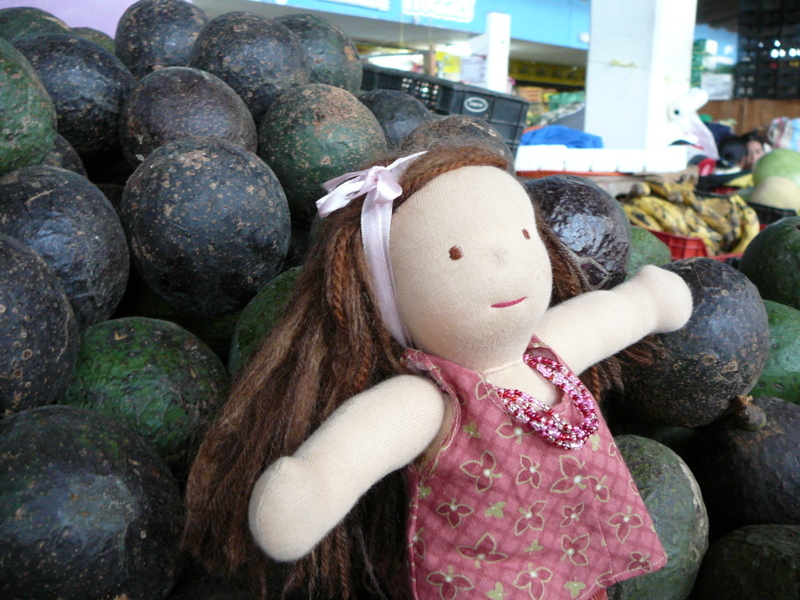 You should see the avocados… I swear, they are the size of Lucita’s head! At the beginning of the week Greg and I helped our friend settle into the new children’s home she has built for the kids she cares for. Greg was especially busy doing many of the handyman things that needed to be done; hanging smoke detectors, fixing baby cribs, moving furniture, etc. He always had willing helpers close by to assist where they could. Seven year old, Jefferson was particularly keen to help out! On Thursday we were taken to see our first potential piece of land in this area. It was absolutely incredible. I’ll say no more at this time because there is so much to consider before we do anything. We’ll return today (Sunday) to look at it more closely and then Monday go visit another one! Our minds and hearts are filled with so much excitement as we anticipate things progressing towards our vision. Thanks again Heather. Heather’s blog is an interesting read. It’s cool to read how an organization like this starts up, what they have to go through and who is involved. I wouldn’t mind bathing in all that delicious food like Lucity is! I look forward to seeing the land they choose (or will the land choose them), I’m also glad to see that it isn’t just my children that like to play at the electrical outlet..